I wrote this book after I had a dream. 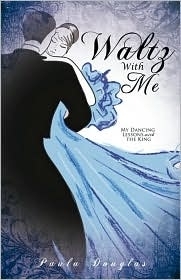 A dream where a man in a white robe with a gold sash held out His hand and said, "Waltz with me." Somehow I knew it was Jesus, but I felt so disqaulified by what I was holding in my hand. In this book I'll share with you how He taught me to trust Him and be empowered by His spirit.